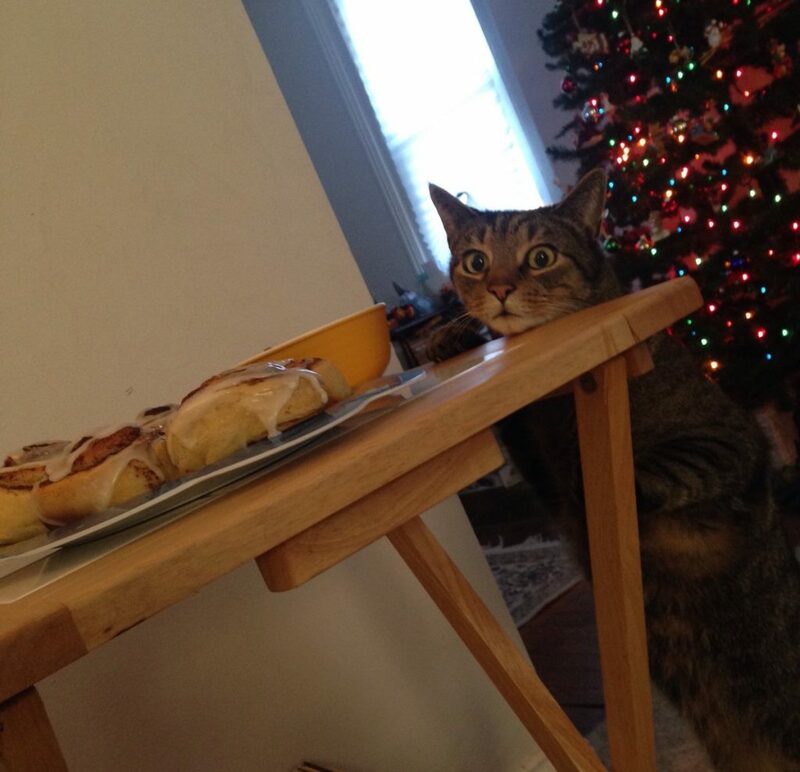 This Cat Gets Caught In The Act Of Stealing A Cinnamon Roll! Wait ‘Til You See His FACE! Ha! To a cat, “no,” just means, “wait until my humans aren’t looking and do it anyway.” Percy the cat has proved this true by doing exactly that…only this time, he was caught red handed! Er, pawed! The family had set out a tray of cinnamon rolls to cool, and when Percy came near, they told him “no.” Percy knows what the word “no” means, especially when the family says it in a low tone. We’ve taught him that ‘no’ means don’t do whatever you’re about to do,” she said. 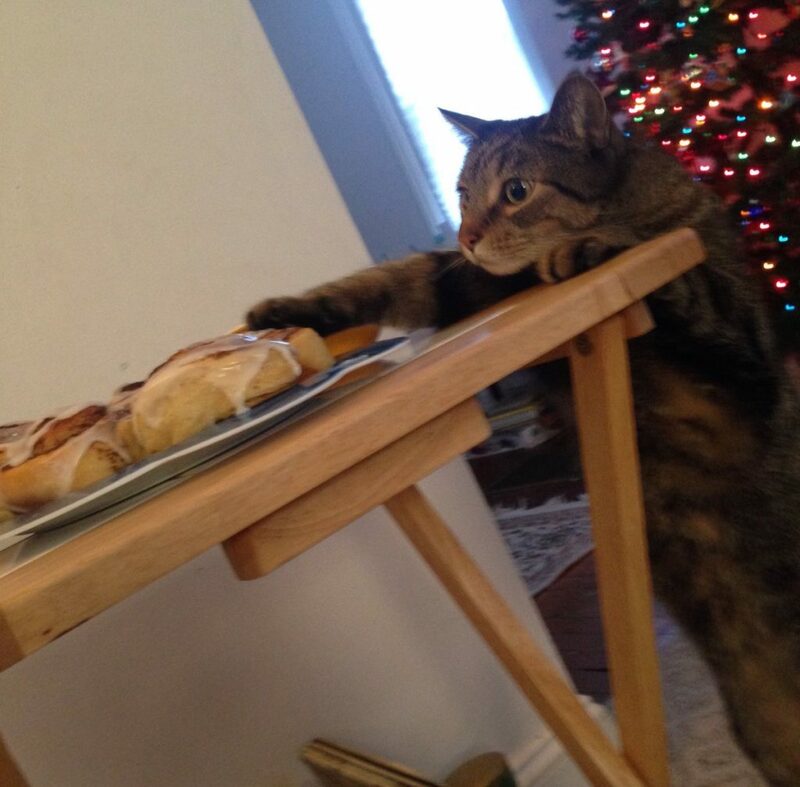 He’s aware that he’s been caught with his paws on the forbidden cinnamon roll…but he doesn’t have an ounce of guilt about it! In fact, he’ll probably just try again later.